It’s frivolous, sure, but Adam Smith’s RPS supporter post concerning savegames he’s hung onto but never completed tickled me, as I’ve collected old saves for a great many years and still have saves that date back over a decade. I thought I’d also have a look back over my savegame cellar and pick out a few vintages that come complete with interesting memories. Blue Byte’s little-known 1996 CRPG was a firm favourite in my teens. It spins a story of human extrasolar mining interests setting up shop on a planet known as Albion, on which several alien cultures co-exist with human civilizations largely derived from Celtic traditions. The player takes control of a chap called Tom, a pilot working for the mining company in question, alongside a shifting cast of other characters as they explore this strange new world. 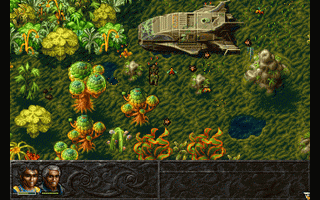 There’s a lot to like about Albion from its varied gameplay (some areas are explored from a top-down 16-bit style perspective, most dungeons shift to a first person perspective for added creepiness, and combat unfolds in a grid-based turn-based fashion) to its mildly shocking recognition that alien planets aren’t mono-biomatic* or mono-cultural. Your time on Albion will see you explore rich jungles, arid deserts, deciduous forests and Northern European-esque grassland alongside villages and cities boasting distinct architectural styles; all this made a significant impression on me at the time. My archived Albion saves don’t represent a failure to finish the game. Instead, they represent two different playthroughs: one set of saves date from the first time I completed the game, with a range of saves running up to the climactic battle. The second set covers a later playthrough where I, ahem, farmed a certain dungeon in the game in order to hit the level cap and outfit my party with the best weapons and armour the game offered (ordinarily impossible, as the game’s economy forces you to make selective decisions, and its design is such that grinding is largely unnecessary). The final boss fight basically involves the use of a unique item to trigger victory, but there is an alternative way of defeating it through ordinary combat should you so choose – a little like taking on Final Fantasy X‘s ultimate superboss, Penance, and not cheesing your way to victory by summoning Yojimbo. My maxed-out party supported a vague intention to try and beat Albion’s final boss in this way, although I never had the patience to actually attempt it. I’m honestly a little amazed that I bothered to retain my Dead Space saves. 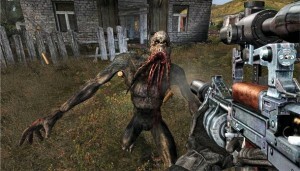 Whilst I generally enjoyed the game’s action-oriented approach to science fiction horror – as an SF fan whose teens coincided with the 90s, of course I watched Event Horizon and Aliens multiple times – and thought its dismemberment-based approach to combat was an interesting mechanic that ran in line with its body horror aesthetic, it wasn’t short of moments that tipped over into frustration. Chief among these, for me, was the level in which the player controls a mounted cannon and must shoot down incoming asteroids (Dead Space makes little pretence toward firm SF, so these slow-moving giant rocks are rendered harmless by breaking them into smaller fragments). The controls are clumsy and the minigame punitive, and after several failures I gave up, resolved to never play the game again. Life is too short, even if your game does have creepy genetically twisted baby monsters crawling all over the walls. 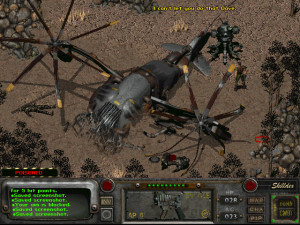 I used to cherish my Fallout 2 saves, although I’ve not actually looked at them in years now. Back in the 90s and early 2000s, which was probably when I last played Fallout 2, I played through the game multiple times. I had also become accustomed to using the Falche character editor tool to tweak my character (usually in response to a poor perk decision, or experimenting with skill point allocations). At the outset of one new playthrough it occurred to me that it would be quite good fun to carry over my character – a sort of new game plus of my own devising. And so I imported my high-level character, rocketed through the game’s tutorial area, and was off. A new tradition had begun. I can’t remember whether Fallout 2 actually had a level cap (I suspect lvl 99 if so), but I do remember it would have been trivial to either amend my character’s XP variable or make use of the Vault City XP exploit to zoom up through loads of levels. No such tactics for me. Instead, my character would explore the wastes after the final boss was defeated, slaughtering Enclave patrols and deathclaws in order to keep slowly crawling through the levels, or I would start a fresh playthrough in order to hoover up the game’s generous quest and dialogue XP awards. I don’t remember what level this Fallout 2 character is at this point, but I do remember that even though it was far, far past what was required to defeat Frank Horrigan, it was still possible for my party to be overwhelmed by a large number of deathclaws in a random encounter. Deathclaws are still a bit scary as of Fallout 4, but you don’t tend to encounter half a dozen of these extremely fast and deadly bullet sponges at a time. Despite multiple attempts to play through this once-groundbreaking game, I’ve never made it far into the game’s second area. To be fair to myself, I’ve generally played the game with only the official patches, which still leaves it riddled with problems. I’m sure that crashes and other bugs have hindered my desire to play very far. But it remains something of a mystery to me that I never persevered with Shadow of Chernobyl, as I have meticulously explored its opening area several times, and in between several playthroughs I rinsed every drop of experience from the admittedly superior STALKER: Call of Pripyat. ‘Maybe one day,’ I continue to tell myself, but with every year 2007 becomes more distant and the likelihood that I will sit down and reach the heart of the Zone becomes less and less probable. I have meticulously retained at least one savegame for each level of Starcraft’s multiple campaigns, along with a character profile which records unlocked levels. Why I have done this I do not know, since I have played through the original and expansion campaigns three or four times since they were released, and every time I start fresh from the beginning of the game. I can only imagine I do this because, once I have passed a certain point in a playthrough, I am a little fed up with each level’s adherence to 90s RTS traditions: rebuilding your base, upgrades and forces from scratch. Every. Single. Time. Later levels can involve quite tedious attritional grinds, and I imagine I was telling myself that next time, next time, I could make use of all my old saves and skip the grindiest bits in favour of the major narrative beats. Have I ever done this? No. That’s not how I consume narratives, even in an age of crowdsourced encyclopedias summarising the plot of every major movie, book and videogame.